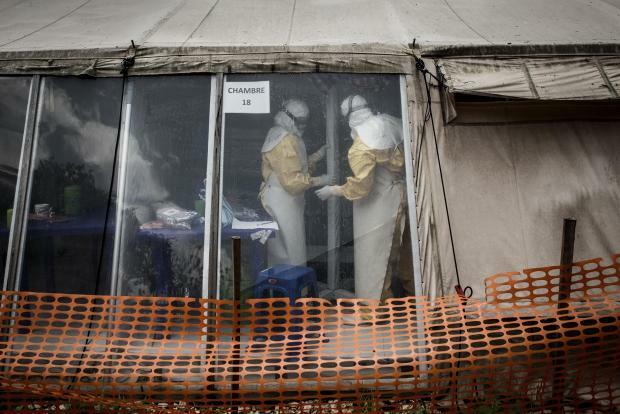 The Ebola outbreak in the Democratic Republic of Congo has killed more than 750 people, the World Health Organisation (WHO) said Friday, ahead of a key review on the severity of the epidemic. WHO's latest toll for the outbreak declared in eastern DRC last August came as the agency's International Health Regulations emergency committee was meeting in Geneva. In October that committee held off declaring Ebola in DRC "a public health emergency of international concern," but has decided to review the situation amid a series of worrying developments. As of April 9, nearly 1,200 cases of the virus have been reported in the affected provinces of North Kivu and Ituri, with 751 people dead, the WHO said. The Red Cross has said that transmission is accelerating while Doctors Without Borders (MSF) has warned that the international response is failing to bring the epidemic under control. Poor security owing to the presence of armed groups, coupled with resistance of some communities to seeking treatment, has hampered the fight to stem the spread of the disease. WHO spokesman Tarik Jasarevic told reporters in Geneva on Friday that security concerns, including recent attacks on health facilities, has made it impossible to maintain a sustained response. When health workers are unable to get to communities because of unrest, "no people are being vaccinated, there is no treatment (and) people are staying at home and infecting other people." "Now we see that we are regaining that access and it is normal when you start regaining that access that you start seeing those cases that you have not seen when you didn't have access, and that partially explains the rise in numbers," he said. WHO considers defines a public health emergency of international concern as "an extraordinary event" that poses risks to multiple states and requires "a coordinated international response." This is DRC's 10th outbreak of Ebola in 40 years and is the second worst to date. The deadliest was a 2014 epidemic in West Africa which killed more than 10,000 people in Guinea, Liberia and Sierra Leone.